Upon separation from military service, each person receives a document identifying the type of service rendered as being honorable, general or dishonorable. About 70 million people (25 percent) of the population of the United States are eligible for veterans’ benefits because they are either veterans or family members and survivors. These veterans have honorable discharges or a general discharge under honorable conditions. Service members who receive a general discharge under honorable conditions are eligible for the following benefits: disability compensation, pension, VA medical care, health care and the GI Bill for education. Some may also receive VA home loans, small business loans, job training, counseling, burial/memorial services and post-traumatic stress disorder support. General discharge is an administrative action that describes imperfect honorable service. This discharge prohibits future re-enlistment into any branch of the military. A general discharge does permit benefits, though, and is acceptable to the Department of Veterans Affairs, an important link in the chain of communications. Some common reasons for the military to issue a general discharge include the following: mental instability, frequent or prolonged absences, alcohol abuse and drug abuse. A prospective employer rarely challenges a general discharge under honorable conditions, which means that this type of discharge avoids the stigma associated with a dishonorable discharge. General discharges can convert to honorable discharges if the return to civilian life encourages formation of a stellar citizen. To petition for an upgrade in discharge status, the individual must establish a stellar civilian profile before petitioning for the change, which could take several years. A written request is necessary to begin the process for a change in separation status. A general discharge under honorable conditions satisfies the basic eligibility for veteran status with the Department of Veterans Affairs and provides the benefit of assistance from counselors at a local VA branch. 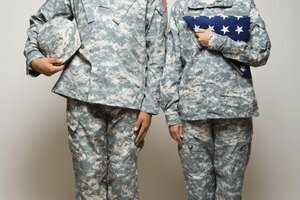 VA benefits are contingent upon time in service and possession of an honorable discharge or a general discharge under honorable conditions. 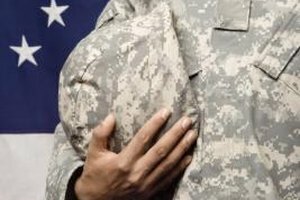 Honorable and general discharges qualify the veteran for most VA benefits. 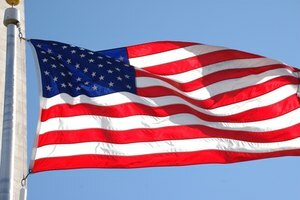 Members of the Army, Navy, Air Force, Marine Corps, Coast Guard or commissioned officers of the Public Health Service, Environmental Services Administration or National Oceanic and Atmospheric Administration who receive an honorable or general discharge have access to five major benefit programs. 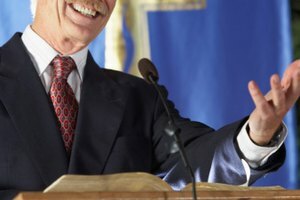 These include Veteran Disability Compensation, Veteran Pension Program, VA Medical care in a VA hospital, Veteran Health Care and GI Bill Education Programs (currently covering all in-state tuition and fees for public institutions and up to $23,671 per year for private institutions). If your length of service meets or exceeds the certification guidelines, the following programs might be available as well: VA Home Loan Guarantee Program, Small Business Loan Program, job training, counseling, burial/memorial and post-traumatic stress disorder support. The Department of Veteran Affairs offers services ranging from education to health care to counseling for veterans and their families. Although a general discharge provides access to most benefits, petitioning for an upgrade in status is a good idea. Make sure you understand the reason for your general discharge under honorable conditions. An upgrade from the general discharge under honorable conditions to an honorable discharge could happen if you follow all of the rules for case review and the following three circumstances occur: the upgrade results from an individual case review; the upgrade has its basis in Uniform Published Standards and Procedures that apply to everyone with an administrative discharge or anyone that leaves active military, naval or air service under less than honorable conditions; and the upgrade is consistent with every historical standard determining honorable service and no decision for awarding or denying an upgrade is made automatically. Scott, Julie. "Benefits of a General Discharge Under Honorable Conditions." Synonym, https://classroom.synonym.com/benefits-of-a-general-discharge-under-honorable-conditions-12079441.html. 25 June 2018.